Essentially a Couples Intensive involves one couple, working with seasoned therapists exclusively for a One-Day Marriage Tune-Up or a 2 1/2 day Marriage Intensive program. This totals approximately 20 hours of client-specific therapy. The counseling services are customized to address the unique needs of the couple and to build a long-term plan for the health of the marriage. Ongoing weekly or monthly marriage counseling sessions can be effective but sometimes a relationship is at a fragile tipping point and a couple needs more concentrated immediate attention. A 2 ½ day marriage “intensive” can accomplish more than 4 months of ongoing weekly counseling and jump-start progress in repairing and restoring a relationship. When a couple chooses to take time off from regular activities and gives priority to working on issues that are contributing to distress and discouragement amazing, life-changing results are possible. 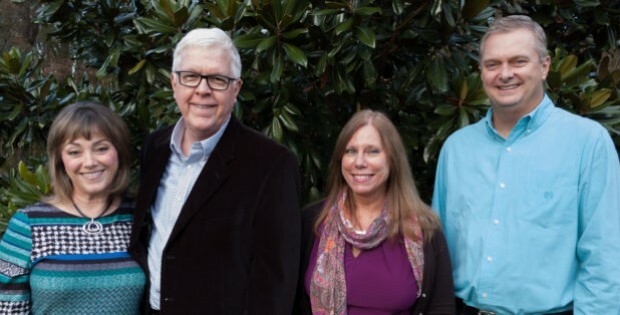 At Christian Counseling Associates of Raleigh, we utilize our proprietary Connected Marriage Home© counseling model. We deal with the past, present and future of each relationship and modify our curriculum to help each couple we serve break free from old baggage and destructive conflict. We help our clients forge healthy attachment patterns for the future. Each marriage intensive is personalized using the model we have developed with 10 essential building blocks and corresponding skills and interventions for relational health, happiness and growth. Our approach to marriage counseling is a proven integrated model that combines Christian values, Emotionally-Focused Therapy and the Gottman Method Couples Therapy. We are pleased to report that this approach is extremely effective with an average 85% success rate with couples involved in our counseling. Click here to learn more about our Couples Intensives Policies and Processes. We also offer a day personalized Marriage Tune-Up for any couple. This involves one couple with two therapists for 8 hours. The purpose is to focus on specific areas of repair and growth utilizing our “10 Building Blocks of Connected Marriage.” Total cost $1500. To learn more, please visit out Marriage Tune-up page. To discuss making a Couples Intensives reservation, please fill out our online form to the right. Intensive Counseling programs for married couples allows clients and counselors to work closely together for several hours at a time, in order to identify root causes of conflict and devise road maps and tactical activities to repair marriages. At Christian Counseling Associates of Raleigh, we know from experience that many of the most heavily damaged relationships suffer from common problem areas. A couple may be trying overcome issues of infidelity, financial pressures, intimacy, parenting or blended family challenges, but often it is the inability to communicate about these issues that derail a couple. Our intensives generally cover 20 hours of customized counseling over a 3 day period. By offering our clients decades of credentialed counseling experience and a Christ-centered mindset, we are usually able to help couples find their path to a recovering marriage. Whether you are based in our home area of Raleigh – Durham, or live several miles away, we encourage you to spend some time in the Intensives section of our website. Often times taking a break from your surroundings can be a positive catalyst for change. Many of our clients have welcomed the opportunity to travel to North Carolina’s Research Triangle to benefit from our Intensive Counseling services. We emphasize Intensives so much because we understand the power they provide at times when couples have lost hope. Once you have familiarized yourself with our Intensives programs, please do not hesitate to contact us. We welcome the opportunity to conduct a free 15 minute consultation, answer your questions and collectively determine in Intensive Counseling is the best choice for you.